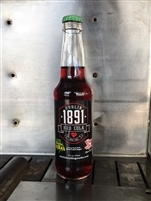 Our iconic soda syrup! Add your own soda water, add to Karo for pancakes, pour over ice cream, kick-start your coffee, sweeten up any baking or come up with something new! Works great with Soda Stream! Always made with pure cane sugar! 1 Case= 24 Glass Bottles. 12oz glass bottles. Always made with pure cane sugar! 1 Case= 24 Glass Bottles. 12oz glass bottles. Always made with pure cane sugar! 1 Case= 24 Glass Bottles. 12oz glass bottles. Always made with pure cane sugar! 1 Case= 24 Glass Bottles. 12oz glass bottles. Always made with pure cane sugar! 1 Case= 24 Glass Bottles. 12oz glass bottles. Always made with pure cane sugar! 1 Case= 24 Glass Bottles. 12oz glass bottles. Always made with pure cane sugar!